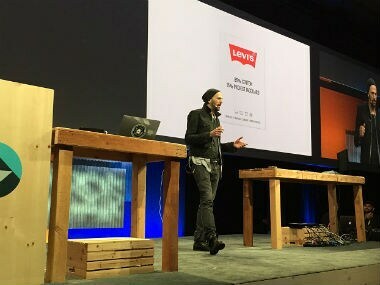 Slightly more than two years ago, Google used its annual developers conference in San Francisco to reveal Project Jacquard and to spotlight Levi Strauss as its first partner. Named after a Frenchman who invented a type of loom, Project Jacquard is in the hands of a small Google team called Advanced Technology and Projects (ATAP). Levi Strauss this week begins selling a denim jacket with touch controls woven into the fabric in the first fashion offering stitched from a collaboration with Google. The iconic California clothing maker, which has a legacy reaching back to the Gold Rush in the mid-1800s, will mine the mobile internet boom with a "Trucker Jacket with Jacquard." The denim jacket aimed at bicyclists has a sleeve cuff made of special Jacquard fabric that synchronises wirelessly with smartphones, enabling a limited set of commands using swipes or taps, a video posted on YouTube by Levi Strauss showed. "As we see it, this isn't just about technology for technology's sake — it's about addressing a real need for our consumers on the go," said Levi's vice president of global product innovation Paul Dillinger. "This garment allows cyclists to literally navigate their rides, and manage other simple tasks, while never having to take their eyes off the road." 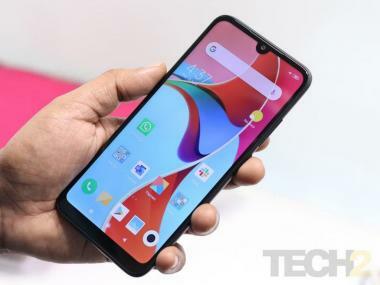 Google engineer Ivan Poupyrev said in a blog post that first and foremost, "it's a jacket. Like any regular denim jacket, you can wash it (just remove the snap tag), it's durable, designed to be comfortable for cycling and it'll keep you warm on and off the bike." Poupyrev said the garment enables users to "perform common digital tasks, like starting or stopping music, getting directions or reading incoming text messages, by simply swiping or tapping the jacket sleeve." The Levi's Commuter Trucker jackets will be priced at $350 when they become available in select US shops beginning Wednesday and at the levi.com website on 2 October. Slightly more than two years ago, Google used its annual developers conference in San Francisco to reveal Project Jacquard and to spotlight Levi Strauss as its first partner. Named after a Frenchman who invented a type of loom, Project Jacquard is in the hands of a small Google team called Advanced Technology and Projects (ATAP). Conductive threads can be woven into a wide array of fabrics, and be made to visually stand out or go unnoticed depending on designers' wishes.